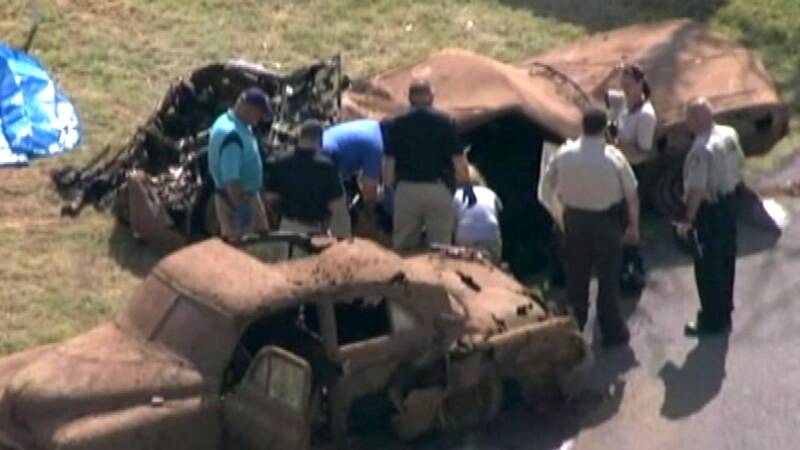 Police officers look at a car containing skeletal remains found at the bottom of Foss Lake in Custer County. 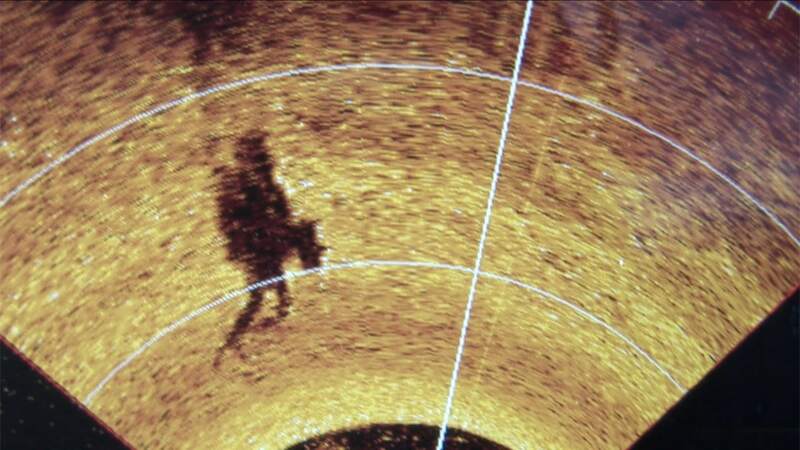 That's what's in the sonar imaging system in use during the Foss Lake cold-case breakthrough, which was sold by a manufacturer called Humminbird. It uses narrow slices of sound waves to generate a sonar image of up to 350 feet on either side of the boat. By continually moving the boat, the slices compile a detailed image of an area. Users can even zoom in to get a detailed view. Down at Foss Lake, the breakthrough came when the two old cars appeared, unmistakably clear, on the screen of their new gadget. 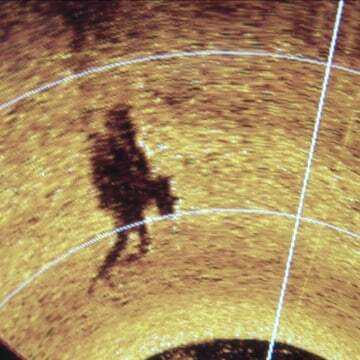 A diver can be seen clearly on the sonar image. "The resolution of the images you get back is greatly detailed," George Hoyle, a trooper with the Oklahoma Highway Patrol who found the cars, told NBC News. "For instance, that '52 Chevy that I saw on my screen, I could tell you that the driver-side door was open." 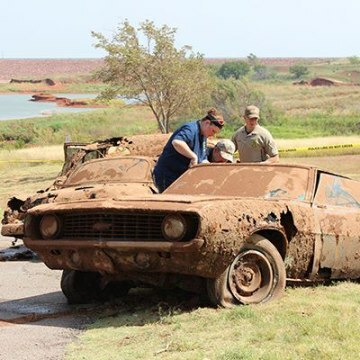 The troopers also found a 1968 Camaro in about the same location — 100 feet offshore in an area that a park manager at Foss Lake asked them to image because he planned to lay new tarmac there to extend a boat ramp. Both of the cars appear to be tied to missing person cases that went cold in the 1970s. Divers dispatched to recover the vehicles also found six bodies. Though DNA tests are likely required to confirm identities, "we're pretty certain" the bodies are the missing persons, Hoyle said. The discovery illustrates what's possible in search and rescue with a new generation of affordable, high-resolution imaging technology, according to Bill Carson, a product manager for Humminbird. The advancement of the technology has been driven by the fishing industry — good sonar images let anglers know where to find big fish — but its level of sophistication and its falling price are making it attractive to search and rescue, he added. 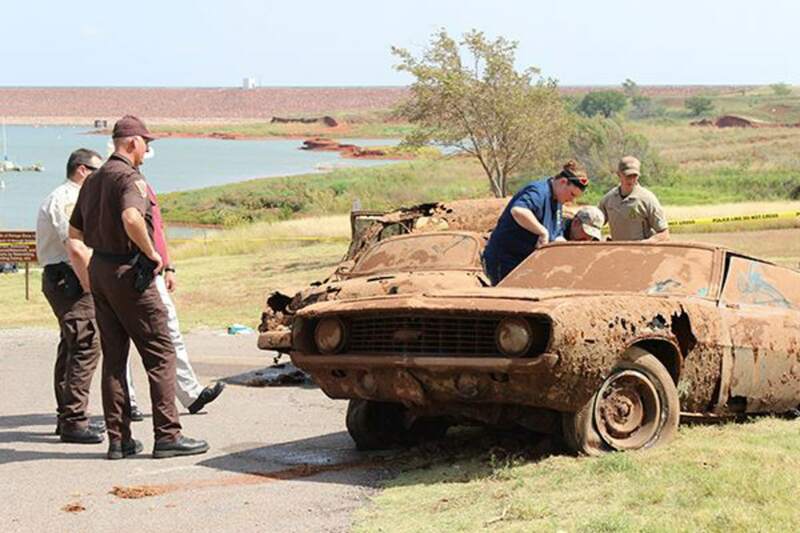 Compared to the base models made by traditional suppliers such as Raytheon, which can charge $40,000 or more for comparable technology, the system the Oklahoma Highway Patrol was using costs about $2,800. The thinking goes that these boats are often first on the scene when an accident occurs and they could put their sonar to work quickly enough to "turn some small percentage into a rescue as opposed to a recovery," Carson explained. On the recovery side, he noted, the sonar technology was used to help authorities find the body of a 13-year-old boy who was knocked into the water during a "horrific" 2012 boat crash on Lake Lanier in Georgia. After the incident, the Georgia Department of Natural Resources ordered 28 sonar units for the fleet of boats that patrol the 59-square-mile lake. Other anecdotes he's heard include users of the sonar technology finding lost property such as boats and "cars that somebody ran off a bridge." Hoyle, the state trooper, seems impressed. "We're going to start using it a great deal more," he said.